Encore is a calm, square hipped bull, that is siring attractive, light birth weight calves. His pedigree includes Encore Z311, Trust, and Revolution 4R. His weaning weight, and yearling weight EPD’s put him in the top 4% of the breed, and his marbling EPD is in the top 1%. 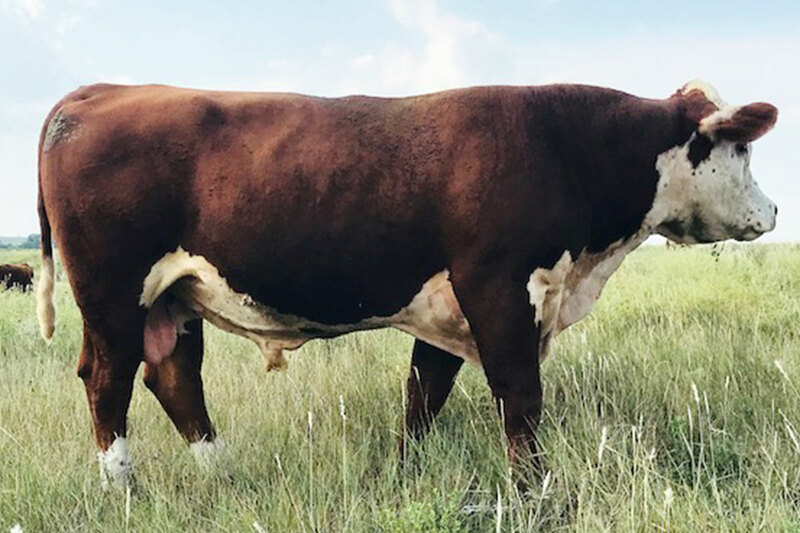 Homozygous polled.